That’s hardly a huge edge given the size of their overall workforces, which total almost 2.9 million workers in each state. Wednesday’s numbers come from the Quarterly Census of Employment and Wages, which economists regard as the “gold standard” of job metrics. More detailed numbers that break down public versus private sector jobs won’t be available for another couple weeks. “The fact that it’s every year is somewhat remarkable,” Grimes said. 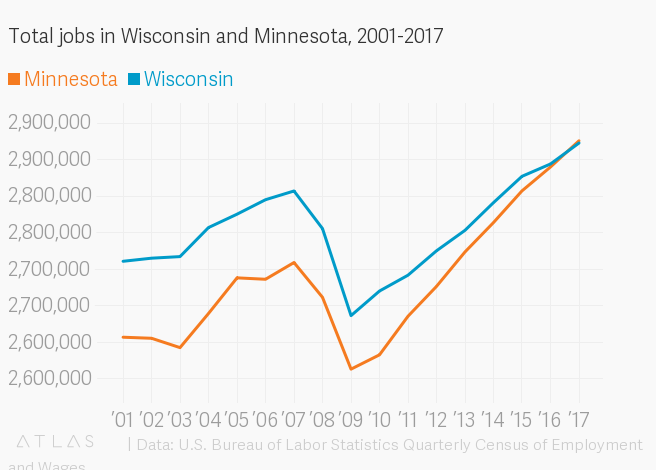 The overall numbers come at a time when another job metric — the unemployment rate — dropped to 2.8 percent in Wisconsin according to preliminary figures. That’s a record low. 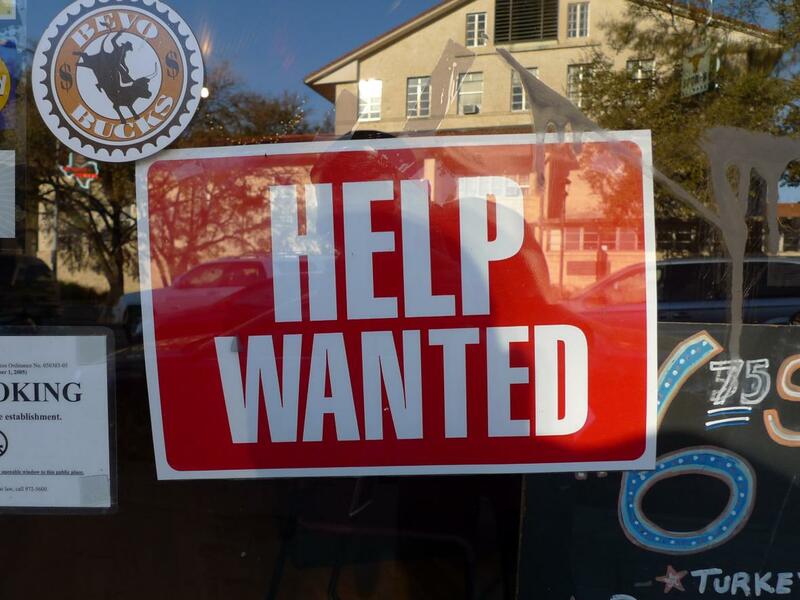 Minnesota’s preliminary unemployment rate for April was 3.2 percent. Both states are lower than the national rate of 3.9 percent. Minnesota’s labor force participation rate — the percentage of the overall population that is part of the workforce — is 70.5 percent, which is slightly higher than Wisconsin’s 68.9 percent. In addition, job growth in Minnesota’s largest city far surpassed job growth in Wisconsin’s. “You need to focus on why Milwaukee is doing so much worse than Minneapolis-St. Paul and how you can be more like Minneapolis-St. Paul,” Grimes said. Full QCEW data covering all of 2017 will be released in June. That will show how Wisconsin’s private sector economy compared to other states, and break down specific sectors, like manufacturing. 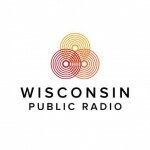 2017 Was The First Year In Recent History That Wisconsin Fell Behind Its Midwest Neighbor was originally published by Wisconsin Public Radio. This report is complete validation of the inclusive governing strategy present in Minnesota versus Governor Walker’s “Divide & Conquer”. When all residents of a state are working together for the success of all, great things happen: Minnesota. When the Republican Party purposely divides the states’ residents into factions, encouraging discrimination against anyone who votes for Democrats, the economy and social institutions of that state become epic failures: Walker’s Wisconsin. Right now, Walker’s Wisconsin’s biggest export is it’s young people, fleeing the cauldron of hatred & intolerance that Walker’s Wisconsin has become under Republican rule.